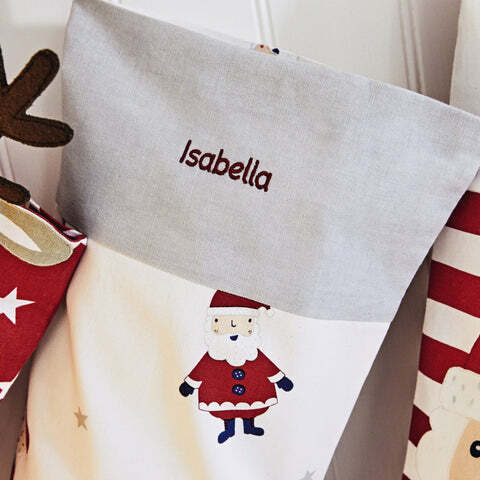 Personalised Christmas Stocking, Christmas Eve | Great Little Trading Co.
Not only are our personalised stockings helpfully roomy, but we know for certain that a name on the front saves a lot of confusion come Christmas Eve. It features a beautiful, design with a smart grey cuff and a hanging loop. If you're coming back to buy your second stocking you might be interested to know that we've very slightly decreased the size of or personalised stockings this year; you'll find the exact measurements in the Details section. 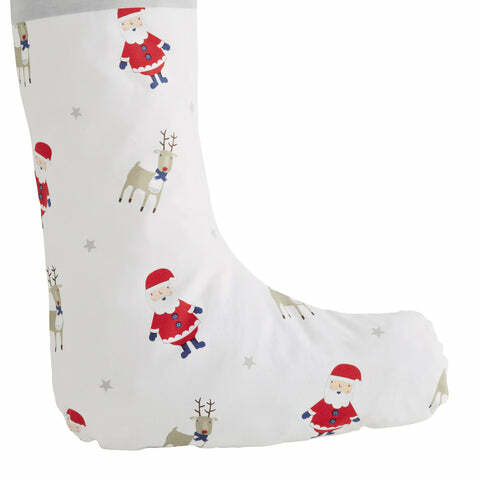 We also have two other designs available: choose from the Reindeer Personalised Stocking or the Father Christmas Personalised Stocking. We're thrilled to introduce our new Christmas Bedding this year; it has the same gorgeous design and will guarantee lots of cosy excitement in the run up to the Big Day.